Royal Guest Hotels’ founder and CEO Ashok Patel started his career in hospitality at the young age of 14 in 1977 when his parents bought the Davis Motel in Davis, CA. Ashok’s uncle encouraged the Patel family to move from Harrisburg, PA to Davis, CA at this time because he thought the Davis community would suit the family well. For many years, the Davis Motel was a family run operation. Ashok’s parents would clean guest rooms, run the front desk, and handle any maintenance issues. Ashok and his sister Gita would also help out when needed after school and on the weekends. Ashok believes that his upbringing in hospitality fostered who he is today as CEO. Don’t expect to see Ashok operating his hotels from an office behind a desk. One is much more likely to see him helping his staff hands on, whether it is helping a maintenance man lift a heavy box or assisting the front desk team greet guests during busy check in times. After operating the Davis motel with his family for many years Ashok was ready to grow the business. In 1986 he acquired the land for the Aggie Inn hotel. He developed the project and oversaw the design and construction. The hotel officially was open for business in 1987. 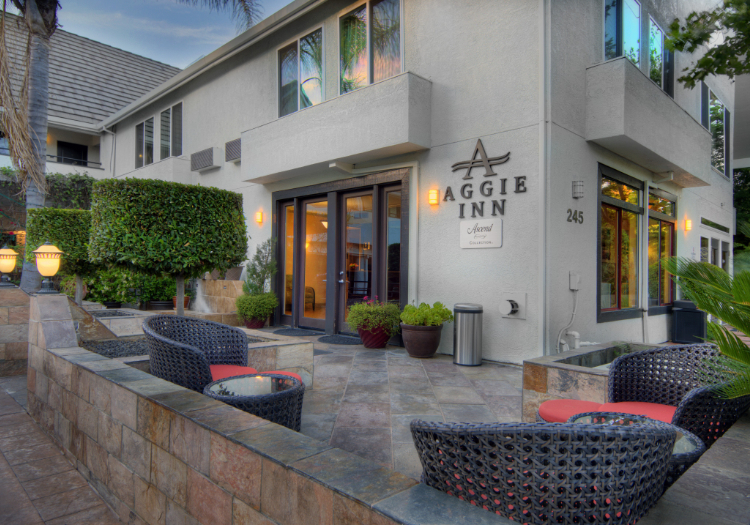 Ashok continued to develop hotels in Northern California after the continued success of the Aggie Inn and Davis Motel. In 1994, Ashok opened the all-suite Palm Court Hotel in downtown Davis, again overseeing the design and construction. The city of Davis insisted on maintaining a retail element for this property due to the location in Davis Downtown’s core area, so the first floor of the building features commercial space. Two Sacramento properties were next on the list of Ashok’s growing portfolio. In 1998 he won the RFP for a hotel project in Mid-Town Sacramento. In 2000, the Inn Off Capitol Park opened, a 37 room atrium style hotel located adjacent to the California State Capitol Park. In the midst of Inn off Capitol Park’s development, Ashok officially named his company, “Royal Guest Hoteliers”. This name was changed again in 2015 to, “Royal Guest Hotels”. Ashok purchased land across from the UC Davis Medical Center in 2005 and four years later opened Hotel Med Park. Also around this time, the Davis Motel needed a major update. In 1998 the massive renovation was completed. The hotel’s name changed from the Davis Motel to the University Park Inn and Suites. In 2003, the University of California Regents approved lease, development and ownership terms with the University Hospitality Group of Davis to build a Hyatt Place hotel on the UC Davis campus. The principals of the group were Ashok and B.B Patel (Ashok’s uncle). The 75 room Hyatt Place UC Davis opened in 2010.